The men's shoes at Lazaro SoHo step up men's fashion with biker boots and the latest styles in cool sneakers from brands like Vlado, Ylati, Demobaza and Cinzia Araia. 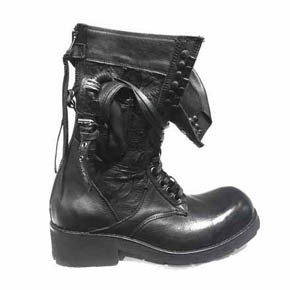 This boot features textured leather, unique side pockets, and ornamental metal rings. A design like this cannot be found anywhere else! 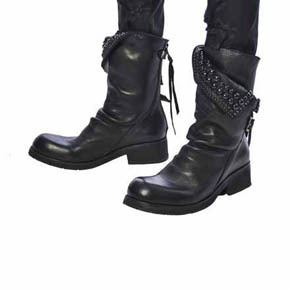 Take combat boots to a new level with KMRii, leather boots feature black studs on a detailed twist buckle with back closure zipper. 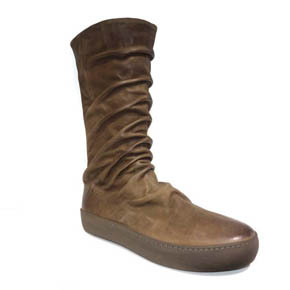 All soles of KMRii boots are made of recycled tires. 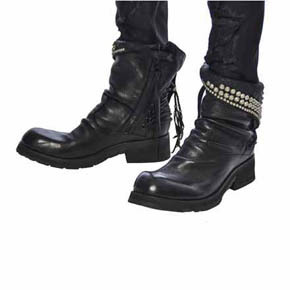 Never encounter the unknown with these KMRii boots, sleek black leather builds the foundation for a unique twisted buckle accented with silver studs. 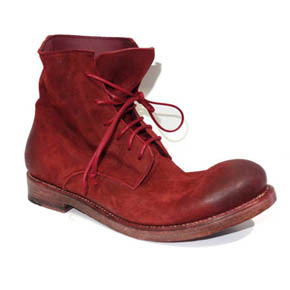 Boots feature a back zipper closure, and soles made of recyled tires. 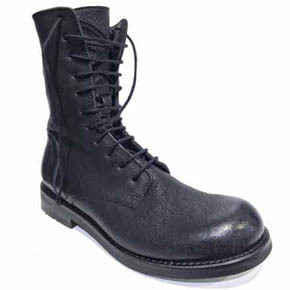 No struggle here, these men's combat boots prove they are all style, featuring quality black horse leather, a lace up front and an accessible side zipper. Find the newest and hottest men's shoes at Lazaro Soho! Whether you are looking for white shoes for men, black shoes for men, or more colorful shoes, you are sure to find the perfect pair of men's designer shoes. Our collection of shoes for men feature styles for all seasons like men's summer shoes and men's winter boots.